Beginning in 1893 as a parish library at St. Agnes Chapel on West 91st Street, the St. Agnes Branch also housed a small collection for the Library for the Blind. The following year, in 1894, the chapel’s pastor, in order to keep pace with a rapidly growing community, expanded the library to neighborhood status. St. Agnes Free Library was chartered by the University of the State of New York and moved several times before its consolidation with The New York Public Library in 1901. 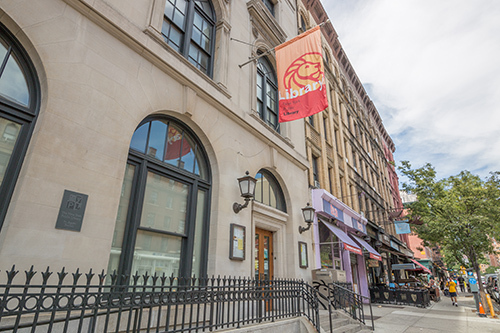 In 1906, the St. Agnes Branch opened its doors in its present home on Amsterdam Avenue. The branch is in near the American Museum of Natural History, Central Park, and many shops and restaurants. 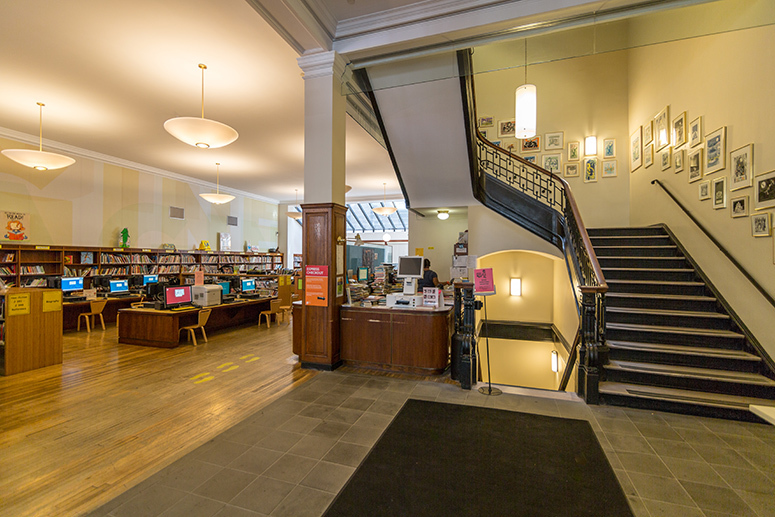 The three-story structure—featuring gracefully arched windows at the first and second floors, and a strongly detailed roofline—was designed by Babb, Cook and Willard, and erected with funds given to the city by Andrew Carnegie for the construction of branch libraries throughout the five boroughs.